Congratulations on completion of 3 blogging years! Wish you luck for many more years to come. 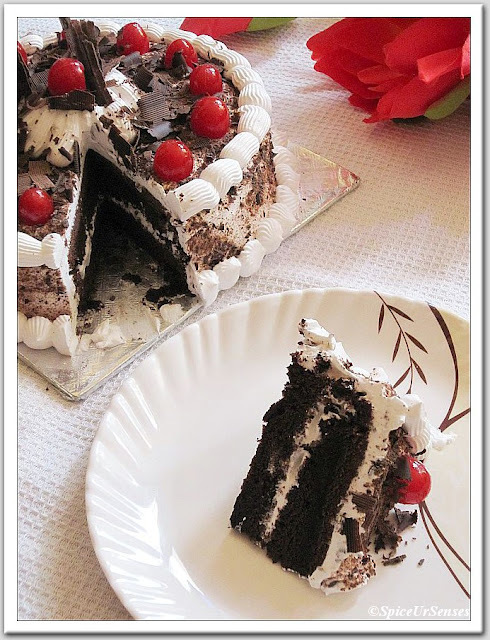 Love the black forest cake .. its perfect! Happy birthday to ur blog baby,way to go gal. 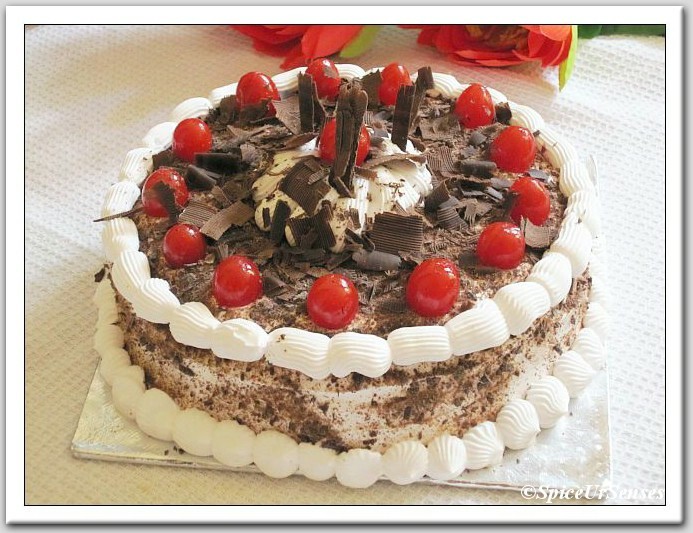 Stunning and elegant cake, looks simply beautiful and gorgeous. 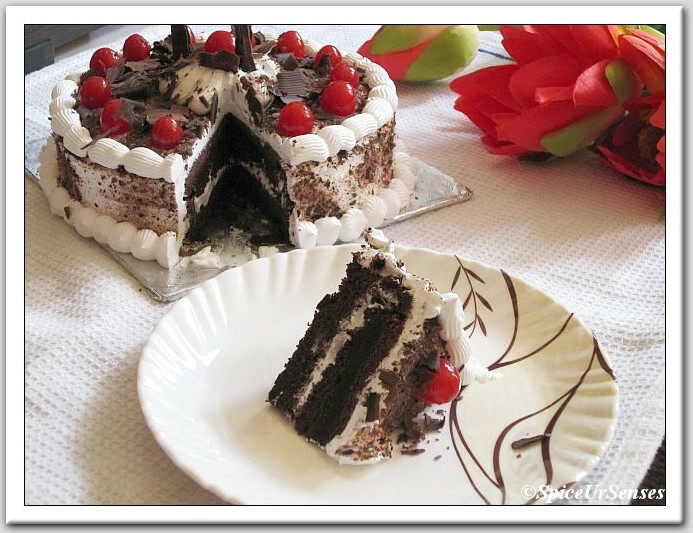 The black forest cake looks stunning! Congratulations on achieving this milestone Rumana! Wish u all the best!! Congrats and perfect cake. do visit my space too. hey congrats and keep going. Cake has come out so perfect .. specially the finishes.. Well done ! Congrats on blog baby's birthday . 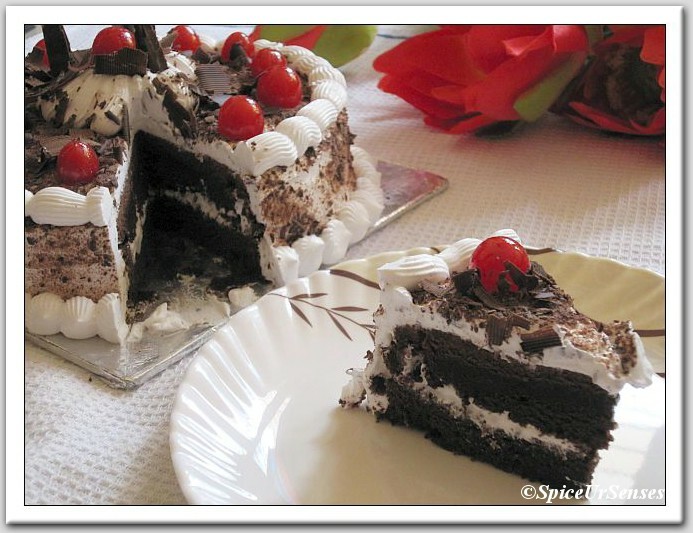 Wishing many more years of happy blogging. Love this black forest cake. Wow.. the cake looks yumm. Congrads on ur achievement dear.. Happy third anniversary Rumana...Way to go...All the best for your efforts..Great job and keep it up ! 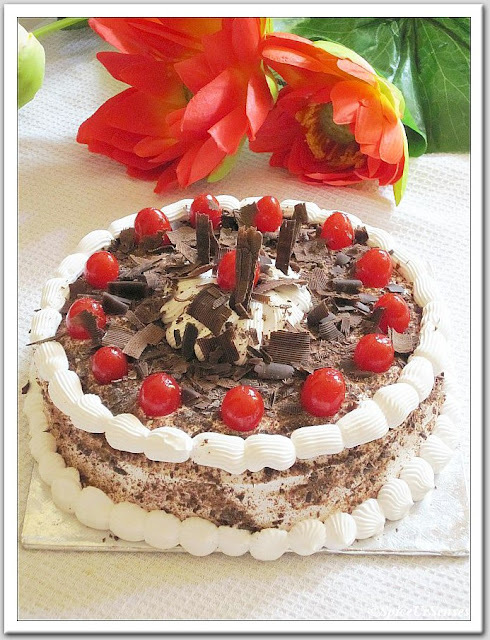 And yes this black forest looks professional.Nice way to celebrate ! Thanks alot dear for your valuable comment..